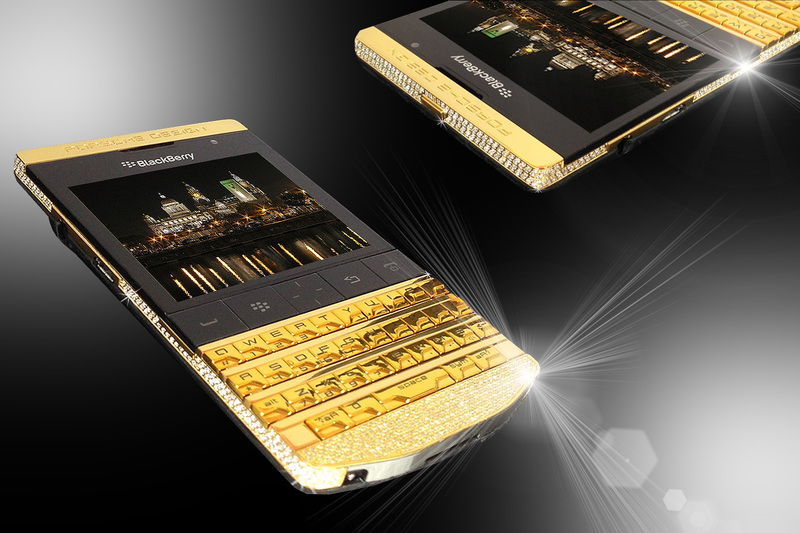 Facia, key mat and lower section embellished and polished in 24ct gold with a circa of 500 individually set S/Diamonds, the rear section whilst still retains its black leather appearance is finished off with beautiful gold camera lens. 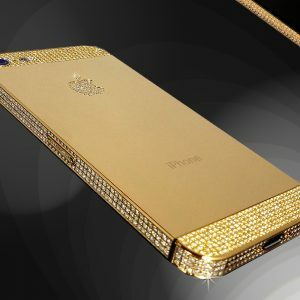 The handset is unlocked to all networks worldwide and comes also with its own 24ct gold charging dock, unique wooden box and Certificate of Authenticity. 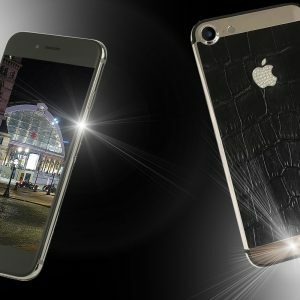 More luxury designs can be found on our other website www.stuarthughes.com. 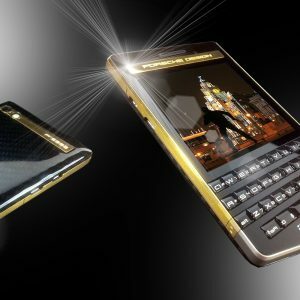 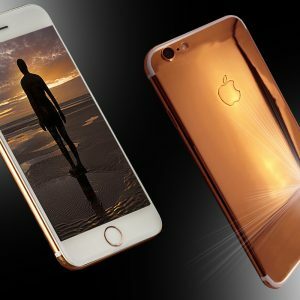 Goldstriker are not connected with Porsche Design or BlackBerry. 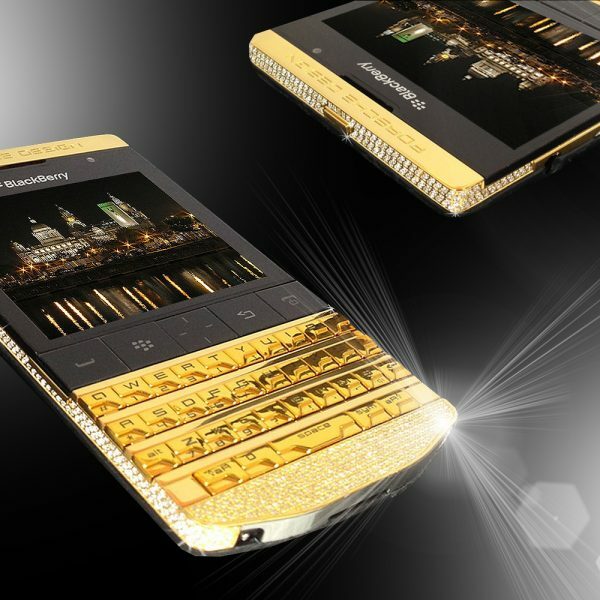 All handsets are purchased independently to then be furnished in 24ct gold.